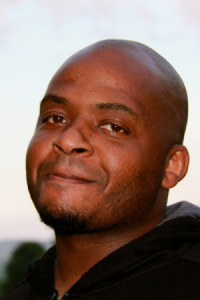 Kiese Laymon is a black southern writer, born and raised in Jackson, Mississippi. Laymon attended Millsaps College and Jackson State University before graduating from Oberlin College. He earned an MFA from Indiana University and is currently an Associate Professor of English at Vassar College. Laymon is the author of the novel, Long Division and a collection of essays, How to Slowly Kill Yourself and Others in America. Laymon has written essays and stories for numerous publications including Esquire, ESPN, Colorlines, NPR, Gawker, The Los Angeles Times, PEN Journal, Truthout, Longman’s Hip Hop Reader, The Best American Series, Guernica, Mythium and Politics and Culture. He was selected a member of the Root 100 in 2013 and 2014.